Over het Veldbaan lokje in IIe is een update te melden. Over het Diorama in IIe is een update te melden. Mobiel internet zie je steeds vaker en regelmatig via USB dongels. Via een actie van T-mobile en de NS heb ik de hand kunnen leggen op een T-Mobile PrePaid Internetstick met wel gesteld euro 2,50 prepaid tegoed. Note : Experiance and measurements (and advice from fellow hams like Egbert PAØEJH). have shown me that it's better to use a FT140-43 core and the guanella winding style. 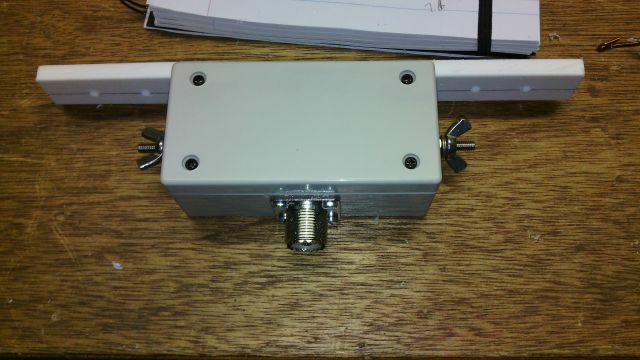 All the dipole boxes I make today are based on that core and winding style. More info about this at : http://vk6ysf.com/balun_guanella_current_1-1.htm . 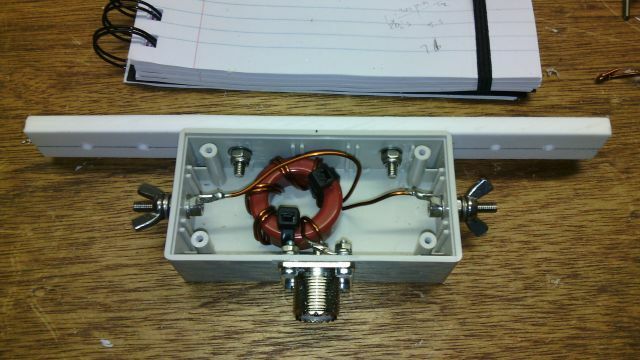 Old article text : For fieldwork and to experiment with variouse dipole configurations I needed a dipole connection plate, but also i would need a 1:1 current balun to get it free from skin current. So a small box, a piece of PE, a bit of hardware and a T200-2, a bit of 1.5mm wire and a hour in the workshop everything got together.